With its humble beginning as a retail pharmacy in Gampola town in 1967, Sunshine Holdings has become a leading conglomerate today, diversifying its roots of expertise into agribusiness, healthcare and consumer sectors. Q: Can you describe the beginning and the growth of the Group? A: In 1967, our founder built a single pharmacy retail store called Lanka Medical Ltd. in Gampola. This was the beginning of a grand vision which our founder, Sathasivam, powered, driving the correct values and inspiration, which has shaped our organisation over the five decades. In 1977, we opened a new ‘super centre’ type of a store in Kandy where people could buy pharmaceutical products, home appliances, food items and cosmetics under one roof. At that time, it was the first of its kind in Sri Lanka. The 1977 Government introduced new policies for imports which helped us to bring down world-renowned brands to the country and sell it through our retail store. By the time we moved our operations to Colombo, we were running a successful island-wide pharmaceutical distribution, partnering with local and Indian agencies. The rest is of course history. Today, we partner with some of the biggest healthcare brands and our healthcare business has acquired a 20% market share in the private healthcare segment. In 2005, we re-entered the pharmacy operations by launching Sri Lanka’s premier pharma, wellness and beauty retail chain Healthguard. It entirely changed the traditional concept of how pharmacies work in the country. Healthguard has more than 20 outlets island-wide. We ventured into plantations when the Government decided to privatise the management of the then existing 22 Regional Plantation Companies which consisted of tea, rubber, coconut and palm oil. At that time, we only managed Kahawatta Plantations but in 1996, we bought the shares of Watawala Plantations. We have steered it to become the number one plantations company in Sri Lanka and built brands that touched the hearts of Sri Lankans – Zesta, Watawala Tea and Ran Kahata. Watawala Plantations is a diversified company today, managing 15 tea estates and four palm oil estates located in Central and Southern provinces with 14 tea factories and the largest oil palm mill. In the process, we collaborated with Tata Global Beverages – the world’s second largest tea company which owns Tetley, world’s largest global brand and Wilmar International – the world’s largest oil palm and edible oil company, to further strengthen our agribusiness operations. In the consumer spaces, Watawala Tea Ceylon Ltd. was formed in 2010 and Watawala Tea is the largest branded tea with the highest market share in the tea category of 35%. Over the last few years, our tea brands have become household names in Sri Lanka. The company has even taken steps to capture the international markets by launching our premier tea brand ‘Zesta Connoisseur’. It is now available in Shangri-La chain of hotels, servicing 100 luxury hotels spread across 22 countries. With our presence in these key sectors, as well as in packaging, energy and dairy, Sunshine Holdings has evolved into a true Sri Lankan conglomerate. The journey had its own ups and downs and many setbacks in different time periods but we were able to face those challenges and survive over the last 50 years to become a $ 100 million company with a strong, energetic workforce of more than 15,000. Q: Over the last 50 years, what do you think are the biggest achievements of the Group? A: I guess one of the biggest achievements was to become the second largest imported distributor in the Sri Lankan healthcare segment. As I mentioned, we started as a small pharmacy store but today, our healthcare business supplies over a thousand pharmaceuticals, nutraceuticals, medical diagnostic equipment and surgical products to over two thousand pharmacies, clinics and hospitals across Sri Lanka. The success of our healthcare business over the years has helped us to acquire thorough understanding of the entire market. We have developed a specialised healthcare team of over 300 professionals and generate an annual revenue of Rs. 5.5 billion. Another remarkable achievement is building all the brands which have now become inseparable household names. At the time we entered the market, we had to take on market leaders like Lipton who had been dominated the segment for many years and build our brands. Watawala Tea Ceylon Ltd. has become the largest branded tea company in Sri Lanka today with the highest market share in the tea category of 35% with our brands: ‘Zesta’, ‘Watawala Tea’ and ‘Ran Kahata’. Recently, Watawala Tea was recognised as the ‘Hot Beverage of the Year’ at SLIM-Nielsen People’s Awards – a true recognition by our beloved customers. Starting the Healthguard pharmacy chain in 2004 is another major achievement. Disrupting the traditional Sri Lankan pharmacy model, Healthguard offers a range of pharmaceuticals, wellness and beauty products in a modern retail environment, and has established a benchmark for healthcare retailing in the country. We now have 24 outlets across Greater Colombo area. We are planning to expand our footprint in the Western Province by opening 35 new stores within the next two years. 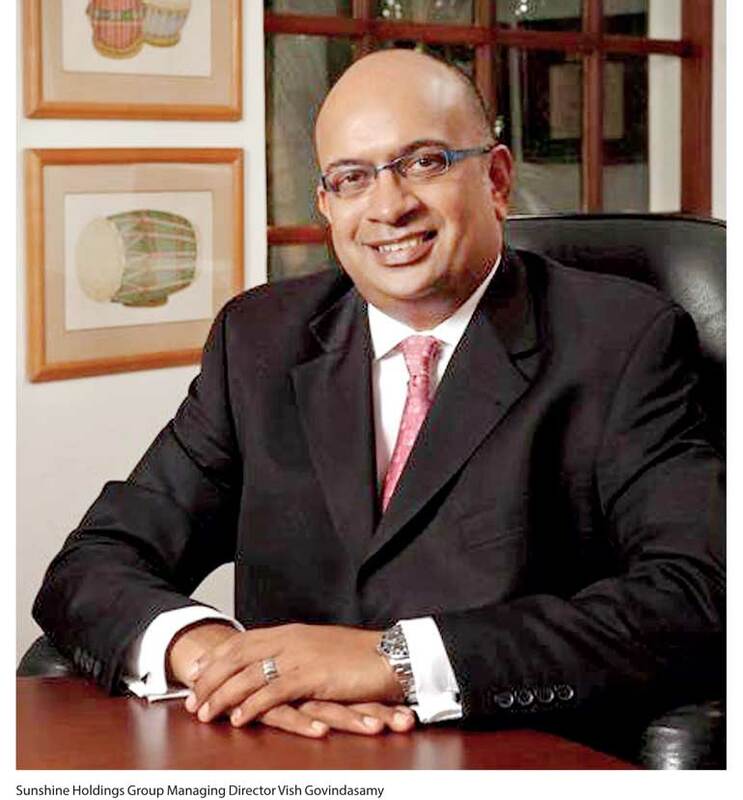 If you look at personal milestones, I personally take credit for converting Watawala Plantations (WATA) – a dilapidated plantation company when we brought it in 1996 – into Sri Lanka’s most valuable plantation company. In our last quarter, we recorded a net profit of Rs. 1 billion, an increase of 131% YoY (Year-on-Year). It was the first time the company surpassed the billion rupee profit milestone because we focused more on quality over quantity to fetch higher prices and continue to do the same going forward. Today, WATA manages 15 tea estates and four palm oil estates located in Central and Southern Provinces, with 14 tea factories and the largest oil palm mill. Q: On milestones, the idea of vertically integrating the brand as a separate strategy must have been very important for you. When did that vertical integration first happen? A: In early 2000 when Zesta was born. We had a hunger to put tea in a bottle, give it a name, and sell it. We told ourselves we would not just be a price taker at the auction. People would not dictate how we do the business. We wanted to control our destiny and that is why we had that hunger within ourselves to go there and do a difference. Q: What have been some of the core drivers of the success of your organisation? A: I have only three elements – people, people and people. That has been the success of our organisation. We have selected the right people, we had care for right people and they have in return served the company with their 100% commitment. How much ever assets, brands, everything that you have, we couldn’t have achieved a one quarter of what we have achieved, if not for all the different people who have been in the organisation at different levels. We believe in taking care of our people that has been the strength of Sunshine Holdings since the day our founder built this company. Today, we have a person who has worked for the company for 40 years. We have people who have served this company for more than 20 years. We even have children of our former employees who are continuing that legacy with Sunshine Holdings. We have picked right people and they have gone and picked right strategies to excel in their respective fields. I believe it is a great achievement as an organisation. Q: What are the best innovations that have shaped Sunshine Holdings in the last 50 years? A: One innovation is definitely the creation of Healthguard. There was no proper pharmacy chain in Sri Lanka at the time we introduced the concept to Sri Lanka and we wanted to bring a model like Boots or Guardian, where it is more than a pharmacy. Since its inception, Healthguard has gone on to disrupt the traditional pharmacy model of Sri Lanka by promoting the novel concept of wellness and beauty without narrowing our product portfolio to just selling pharmaceuticals. We have now taken it to the next stage of an online store and will soon introduce a delivery service of products for Sri Lankans. In 1996 when the plantation companies were privatised, we were the first to computerise a plantation company. We bought 25 computers and I am sure that our order must have been the biggest for IBM’s local office at that time (laughs). From that point of onwards, we have been introducing different kinds of technologies and we are quite tech savvy in our day-to-day operations. Building Waltrim Estate to be the most technologically sophisticated tea factory in Sri Lanka was another key innovation. It is the only complete full scale tea processing factory in the country, built after a lapse of 40 years. Q: Since Sunshine Holdings was first established, how has the economy of the country changed and what implications did these changes have on the Group’s business model? A: The Sri Lankan economy since I have come to the business in 1996 has been a roller coaster. We have had few years of up and few years of down; more years of down and few years of up to be more specific. We went through a 30-year civil war and it was not an easy one for the country. Having said that, all the conglomerates in the country grew during these difficult times but we could have grown lot bigger where we could have achieved a lot more during that stage. We grew without any severe competition during that time. Our competition was restricted to only internal entities. We did not have overseas competition. Now, businesses are becoming more competitive because the way of doing businesses has changed drastically over the last two decades. Those are the implications I guess. We were not probably challenged heavily, when the rest of the worlds were being challenged in terms of competition. Q: Even though the plantation sector in the country has not fared well over the past few years, Watawala Plantations has recorded a great performance in the sector. What are the reasons for that and how have the difficulties in the plantations sector impacted the overall business? A: It is the investment and the diversification where we saw an opportunity to invest heavily. The board also supported our decision. All our tea factories have been modernised and we invested in developing our tea estates, logistics related to the tea industry and other relevant services as well. We invest into training our employees while developing the abilities of our physically and mentally challenged employees through our vocational centres. All that put together is what makes us different from the rest. Q: What are the biggest challenges in the macroeconomic environment for Sunshine Holdings Group? A: The biggest challenge would be to have good people and retain them. By recruiting best talent and taking care of employees, we want to be known as a leading employer in the country. I want to keep that sustainability on the people. Second is to keep up with the expectations of today’s consumers. Consumer expectations are changing rapidly. We need to be on the ball and we have to keep up with that pace. We cannot dictate what the consumer wants. We need to make sure our products do not go through a certain expiry date. We need to keep updating as well as provide what consumer wants from us. Q: We see that there is a certain shift from agriculture to opportunities that are being presented by ICT, tourism and other service sectors, even though the agriculture sector has a true potential to bring more value to the Sri Lankan economy. What are your thoughts about that? A: I do greatly believe that the agriculture sector presents so many opportunities. As a country, we have not even scratched the surface of it. Look at countries like Thailand and Turkey. They have become masters of agricultural innovations. We certainly have the potential to become one such nation because we have had ingenious methods and processes to grow food from the times of our kings and we have had so many wonderful stories on how Sri Lanka’s agricultural sector was once dominated the entire region. The lack of sensible policies and slow infrastructure development are killing our agriculture sector. It is such a woeful situation. I am passionate about agriculture. It does not say that I disregard other sectors but there are many opportunities for us to grow in agriculture. We are blessed with beautiful weather, land, water, air and all other natural elements. We should capture opportunities presented to us. If you want the youth to come and pluck tea, we have to create a culture that fits them. We should provide them proper facilities and tools so that they won’t feel uncomfortable around it. Working in a field is not so bad as long as the youth do not feel bad about the whole affair. Q: What is the medium and long-term outlook for the company from an economic perspective? A: Our interest continues to be in the products that we have brought, specially the healthcare, FMCG, consumer and energy products. We will continue to work on these things and improve them. We are in for a long term with a clear vision and move ahead by becoming leaders and experts in what we do best. There are certain setbacks and challenges we have to face every now and then and I believe we could wither those storms. We are always very keen in brand building and brand acquisition, especially in the pharma side. We want to bring innovative products into the market and we know how to do it in the best way. Even if you look at the energy sector, we see some good opportunities in the solar and wind power sectors. We really need to take advantage of solar power as we sit in a country of sun but again, there should be proper policies, transparency and urgency to carry these projects forward. We are also keen on our dairy business as well and what it is going to bring. We will be rolling out the operations of our state-of-the-art dairy farm itself in May or June.